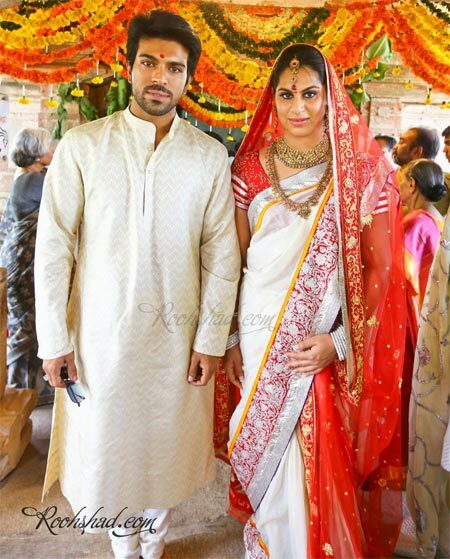 After a star-studded sangeet ceremony on June 11, Ram Charan Teja and Upasana Kamineni proceeded with their families to the 400-year-old Shiva temple in Domakonda fort on June 12 to kickstart wedding rituals. Dressed in a Kanjivaram sari, Upasana arrived at 11 in the morning and performed a special rudrabhishekam in an hour-long ceremony. 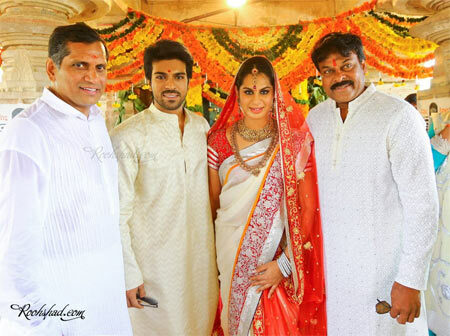 While Ram Charan was accompanied to the temple by father Chiranjeevi, Upasana's grandfather Uma Pathi and father Anil Kamineni escorted her to the temple. 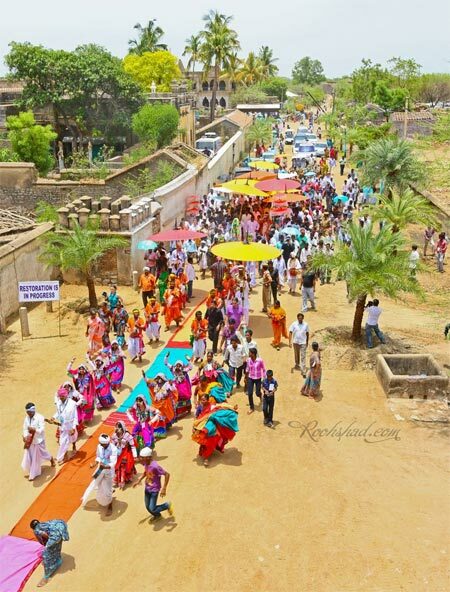 After the ceremony, the would-be bride was led to the gates of the fort by a procession and later joined Ram Charan as the couple was whisked off by Chiranjeevi in a car. The sangeet ceremony that took place on Monday, June 11, started at 8 pm and went on till 4 in the morning. One of the invited guests informs, "There were around 800 guests. From Mumbai, Ram Charan's Zanjeer director Apoorva Lakhia and producer Shabina Khan were present among others. The elaborate arrangements included three banquet halls that were decorated like film sets. Hyerabadi, Continental, Chinese and Italian cuisine was served to the guests. All of Ramcharan's colleagues were present at the do. 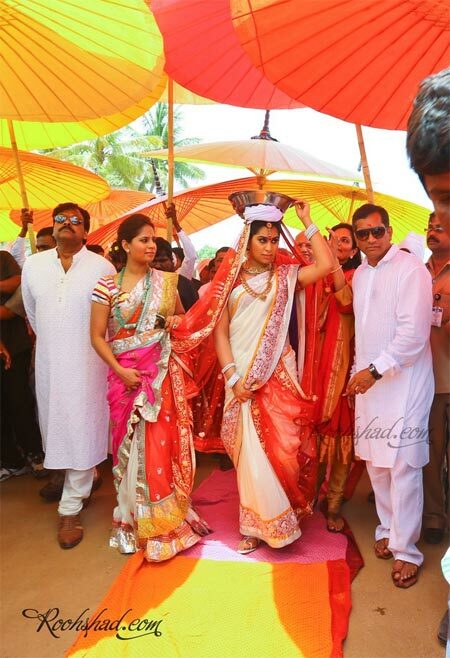 Rana Daggubatti and Allu Arvind hosted the Sangeet ceremony and also danced to several Telugu hit songs. At least four of Rancharan's top Telugu heroines danced to Katrina's Chikni chameli. The highlight of the evening was Ramcharan and Upasana dancing to Tujhe dekha to yeh jaana sanam from Dilwale Dulhaniya Le Jayenge.